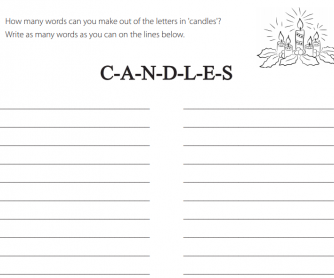 How many words worksheets can be used in many ways. You can use it as a competition, as a timed challenge or just for fun! Students can complete the task on their own or in groups or in pairs. 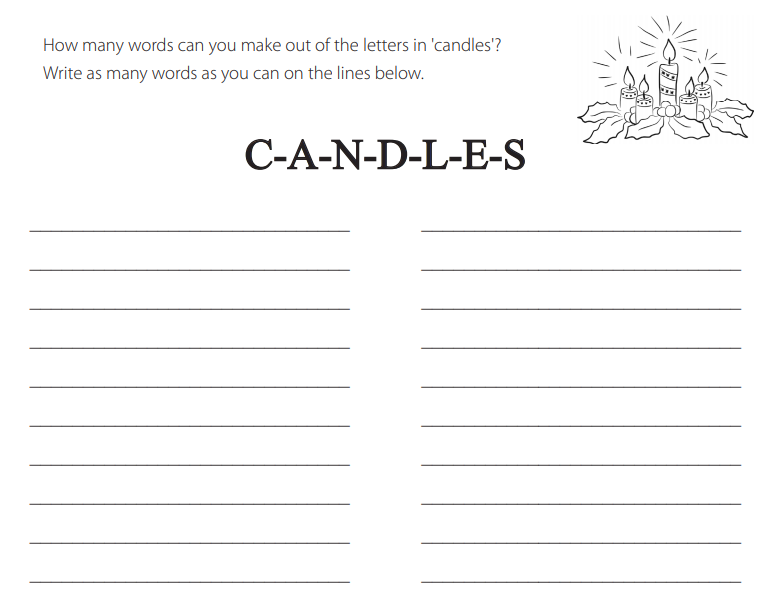 How many words you can make using the letters from 'candles' with this fun Christmas themed worksheet.